Today the final version of my book arrived, as somehow a couple of small typing errors managed to get into the first edition (Karen typed the word ‘to’ twice in one place and left it out where it should have been in another!) I don’t think many people even noticed the error as they were so interested in reading about me their brains just read it as if correct. Anyway, Gordon and Sue seem pretty impressed with the book. 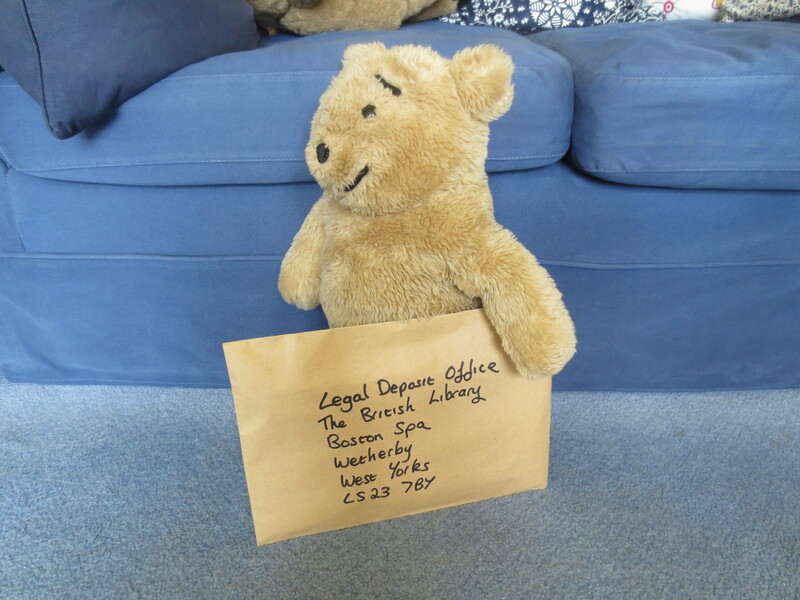 I am feeling important as a copy has been packed up to send to the British Library for ‘legal deposit’. My story will be stored there along with books about other important characters such as Winnie the Pooh & Paddington. 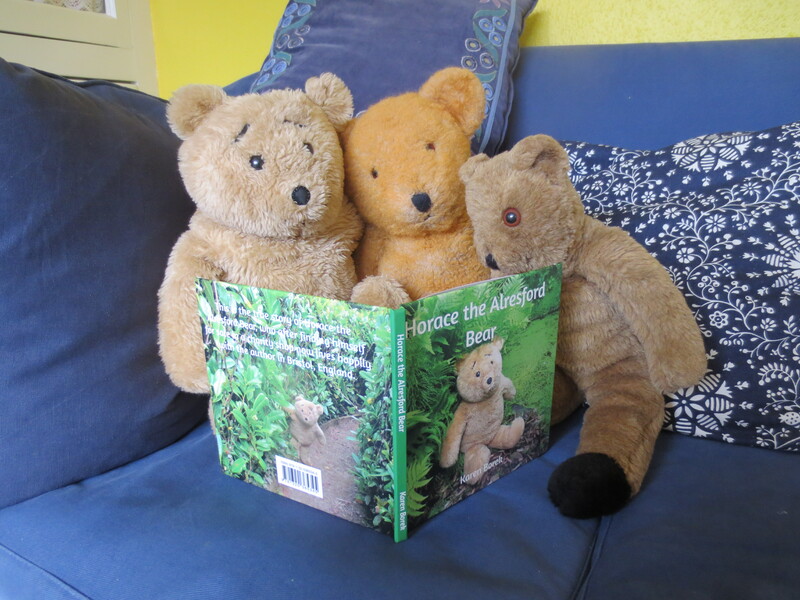 I might also have to send copies to National Library of Scotland, the National Library of Wales, the Bodleian Libraries, Oxford, the University Library, Cambridge, and the Library of Trinity College, Dublin if those libraries request them, though Karen thinks it unlikely, as I am ‘just a bear’. Hmmm…..